Sprawling 17th century tavern with rabbit-warren of bars and a rich history. Steeped in history, this pub’s story stretches back through the reigns of fifteen monarchs. While the tavern’s vaulted cellars are thought to date back to the 13th century, when they formed part of a Carmelite Monastery, most of the pub was rebuilt in 1667 after the previous inn on the site was razed in the Great Fire of 1666. Hidden away down a tiny alley, a quaint, creaking sign protruding from a wall is all that alerts passers-by to its presence. Once inside, the Cheshire Cheese is just as a traditional English pub ought to look: all narrow passageways and staircases, connecting a rabbit-warren of bars and dining rooms located on various different levels. The interior is done out in dark wood and has corresponding low ceilings. This haphazard network of cosy nooks and crannies is dotted with open fireplaces - especially good for thawing out over a cheerful pint in the cold winter months. The past century saw many a journalist cross the threshold thanks to its location on Fleet Street, the erstwhile home of the country's newspaper industry. As well as all the journalists, in times past Ye Olde Cheshire Cheese has played host to its fair share of literary celebrities, including Charles Dickens, Oliver Goldsmith and Samuel Johnson (whose house, in nearby Gough Square, is open to visitors). Nowadays the typical customer is more office worker than man of letters but this doesn’t detract from the pub’s undeniable charm. Serving up a very reasonably priced selection from the Samuel Smith’s Brewery this is also a great place to sample a tasty range of traditional English grub. This is a pub that is true London and one that, for once, genuinely deserves its “Ye Olde” epithet. Vaulted cellars and low ceilings, cosy nooks and narrow passageways, Samuel Johnson and Charles Dickens. The death of the pub’s resident pet parrot – famous for mimicking customers - was announced on the BBC and in newspaper obituaries all over the world. 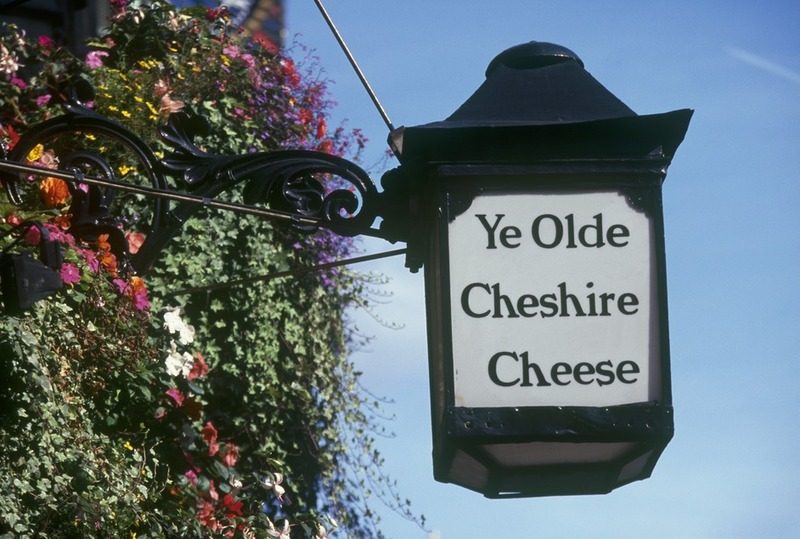 The best pubs near London Ye Olde Cheshire Cheese. Ye Olde Cheshire Cheese clubs, bars, cabaret nights, casinos and interesting nightlife. What are the best dining options near Ye Olde Cheshire Cheese London? Ye Olde Cheshire Cheese gyms, sporting activities, health & beauty and fitness. Where to have your meeting, conference, exhibition, private dining or training course near Ye Olde Cheshire Cheese. From cheap budget hotels to luxury 5 star hotels see our discounts for Ye Olde Cheshire Cheese hotels, including Apex Temple Court Hotel from 89% off.